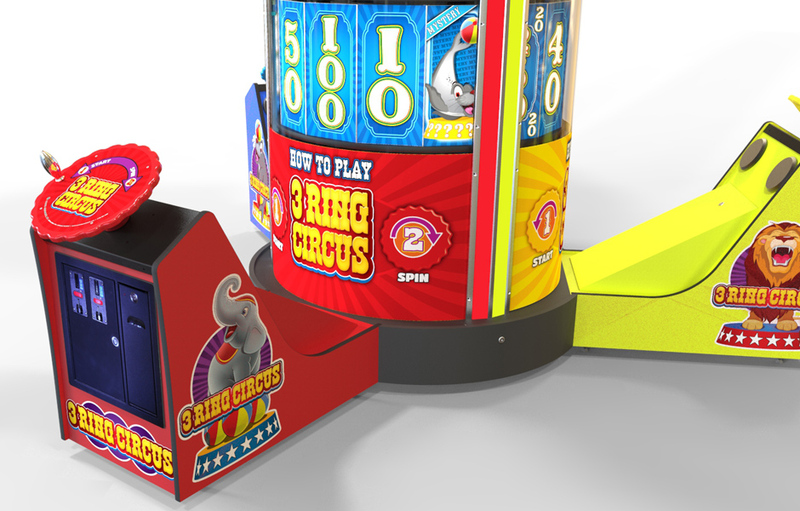 The 3 Ring Circus Arcade game development was an exciting effort and our first attempt in arcade game design. 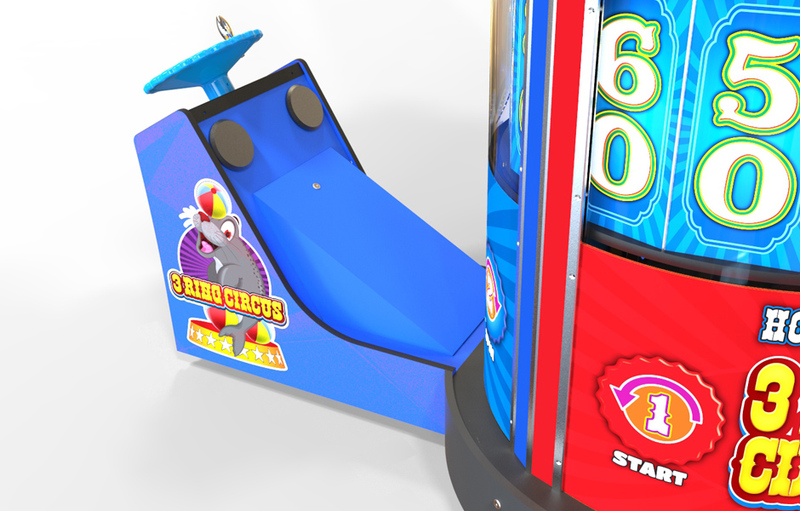 Vertex was commissioned to come up with the astatics of the game, the mechanical engineering details as well as construction of the first two prototypes. 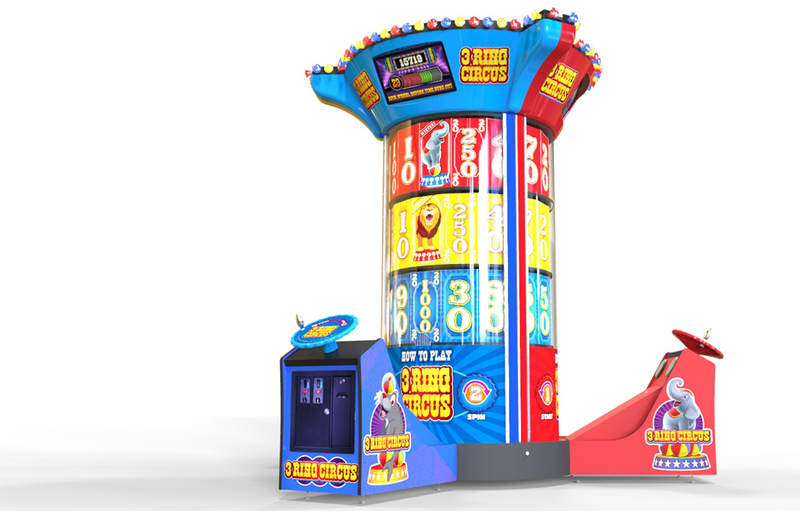 This is an income producing game for arcade venues. It is designed to be a "Center Stage" attraction unit and service three independent players at the same time. We had to engineer each of the players station to have a direct mechanical action from the hand-wheel to the spinning reel with a Pawl Mechanism and large scale encoder to track position of each reel. 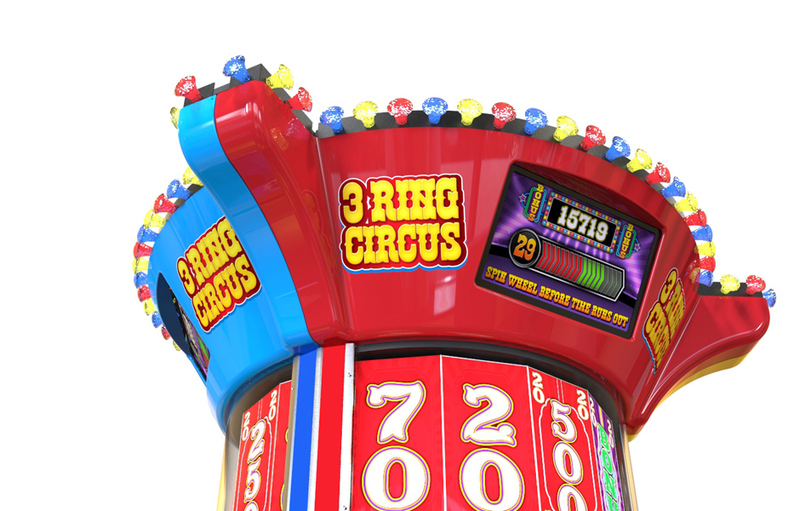 The 3 Ring Circus measures W-112" D-107" H-106" and constructed of wood cabinetry, custom designed Aluminum extrusions, large clear panels and vacuumed formed top crown. 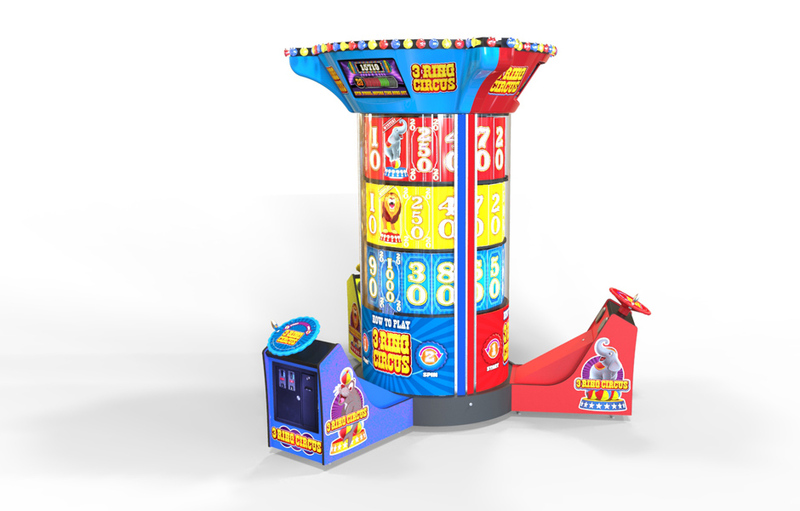 The Three Ring Circus Arcade Game received the Silver Award in the Outdoor & Exercise Equipment-Leisure, Game & Fun Category.